Rasta braided rayon necklace with real fossilized otodus sharks tooth pendant. Adjustable tie on sizing. 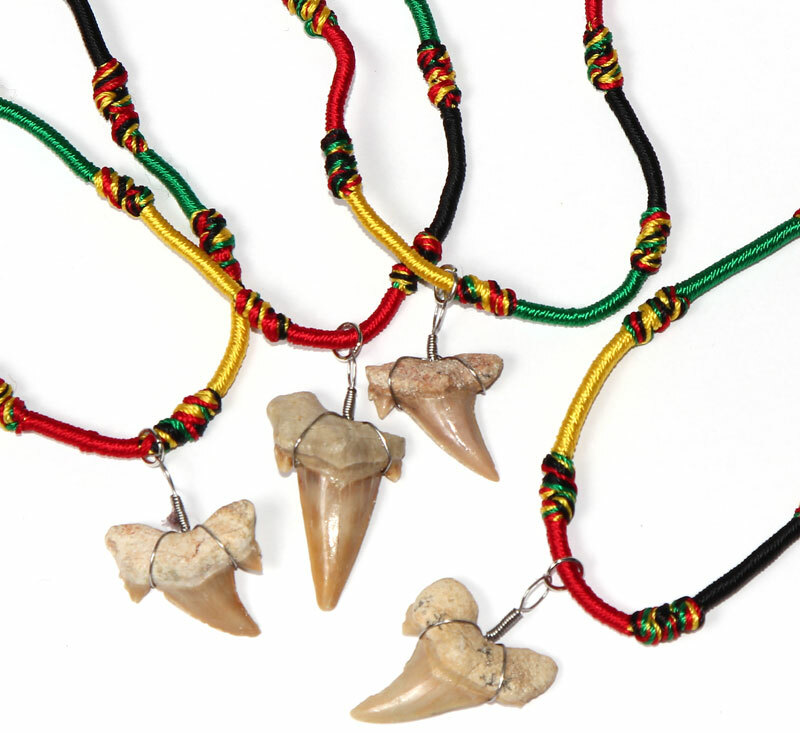 These genuine fossilizes Otodus obliquus shark teeth are dug from the Atlas mountains of Morocco. They are millions of years old.